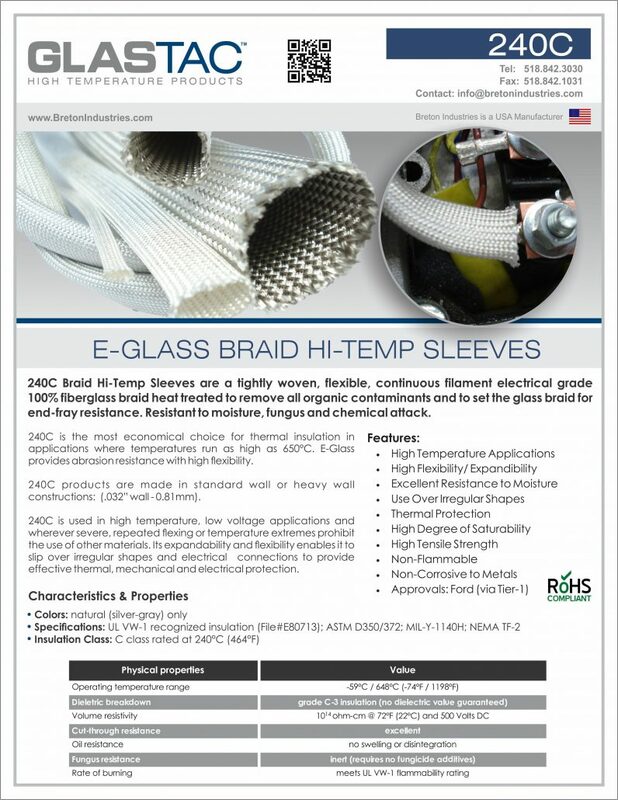 GlasTac high temperature products are manufactured to meet your OEM and replacement market requirements. 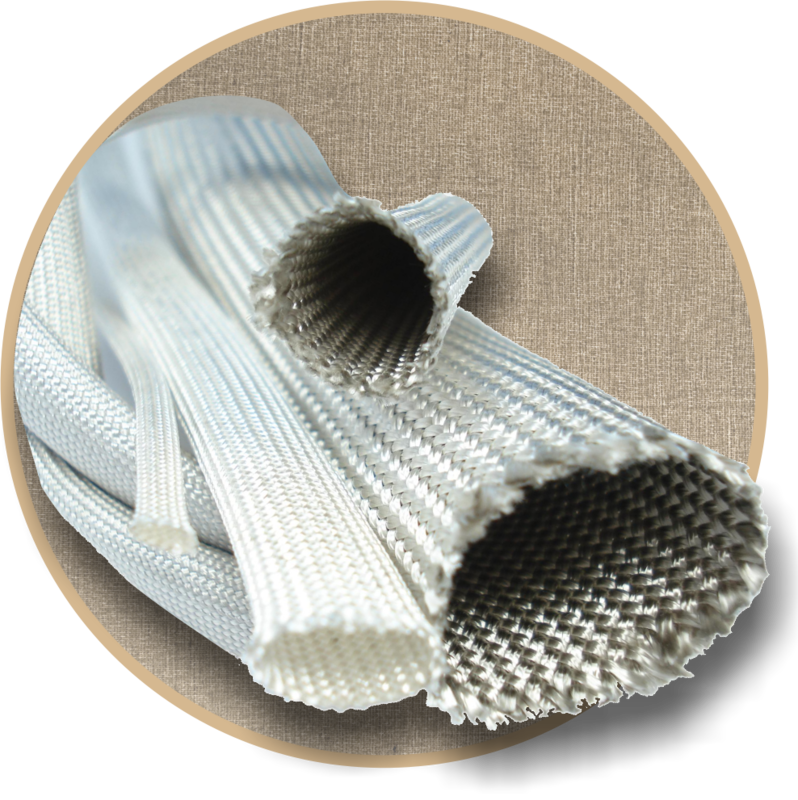 We serve high temperature processes, power generation and more. 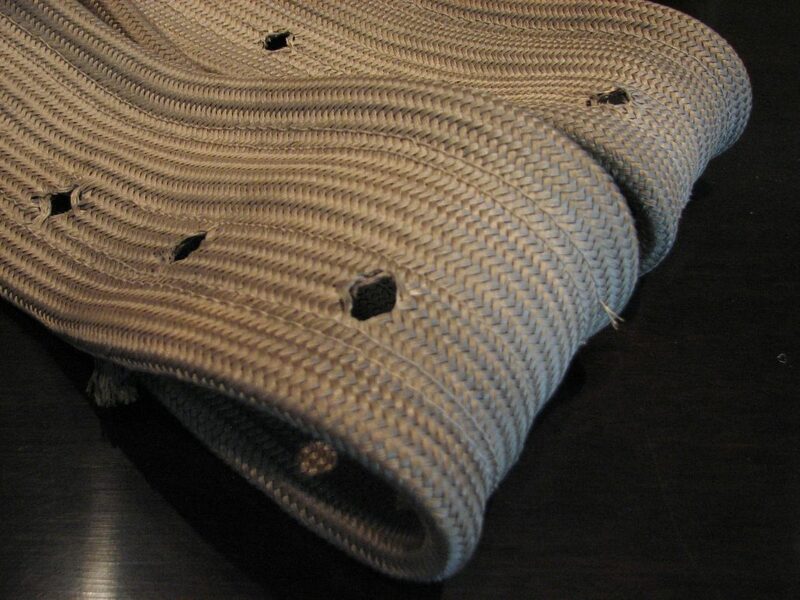 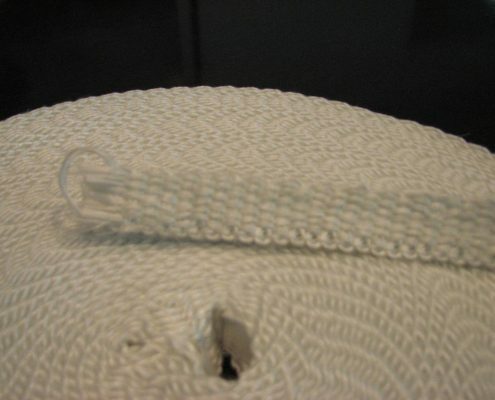 Our products are also cut or sewn to any shape or size. 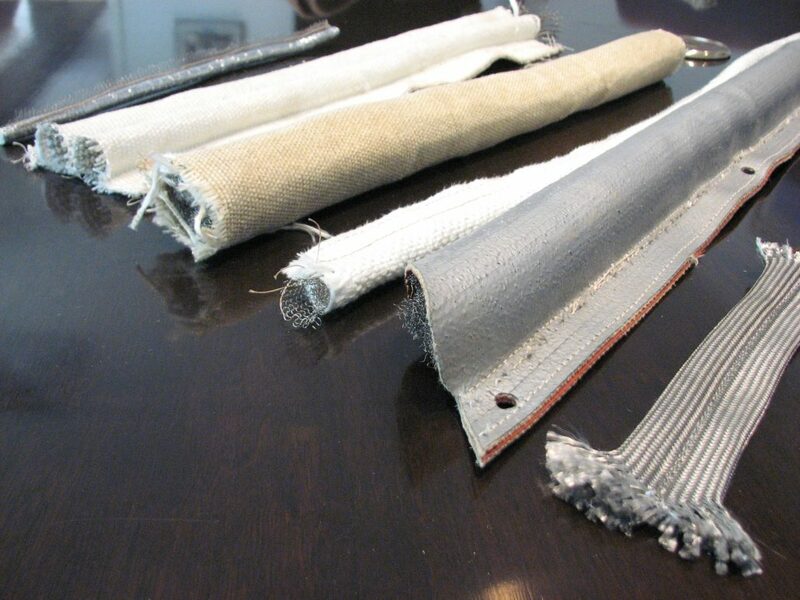 Breton Industries is a leader in custom design. 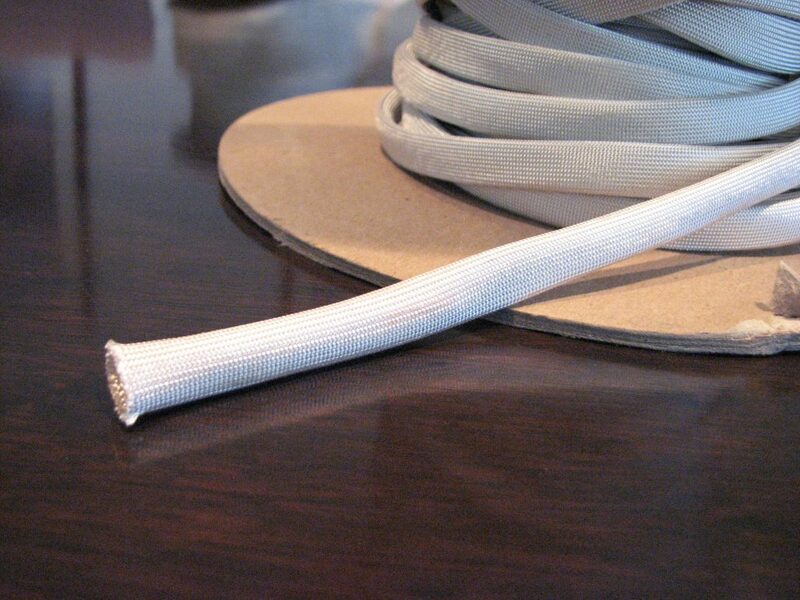 We offer a large variety of high temperature products including: High Temperature Gaskets, Tadpole Gaskets, Exhaust Seal, Furnace / Oven Seal, Duct Seal, Woven Gasket Tapes and GlasTAC 240C high temperature sleeves. 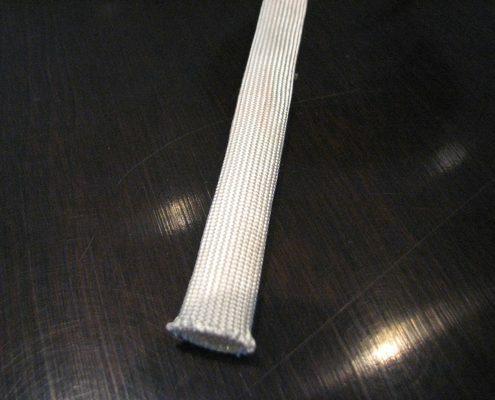 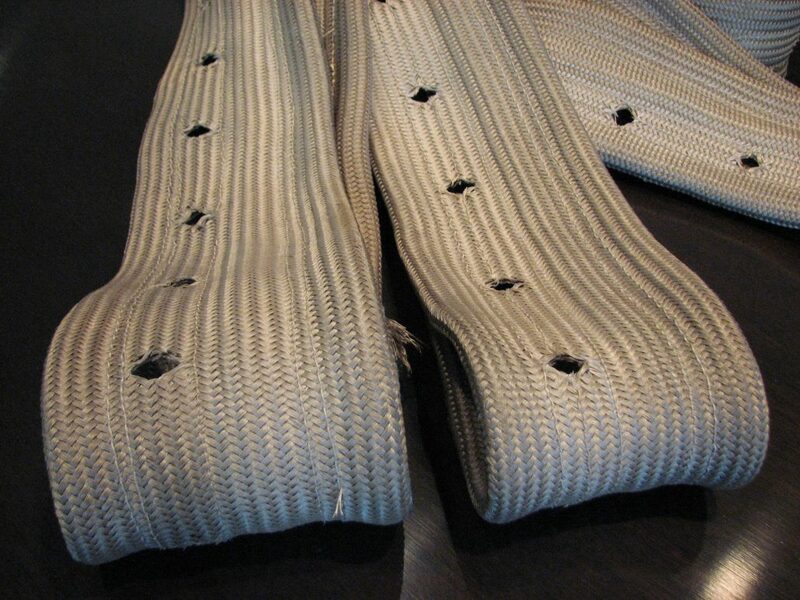 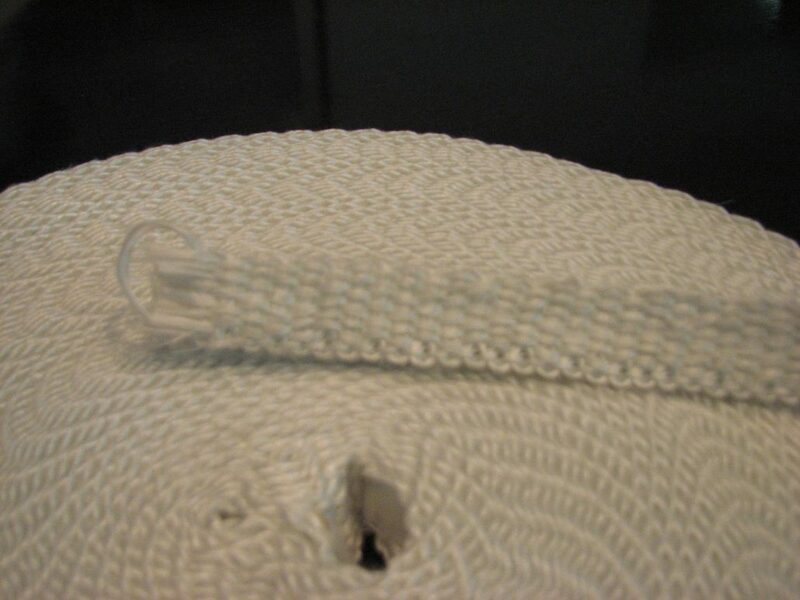 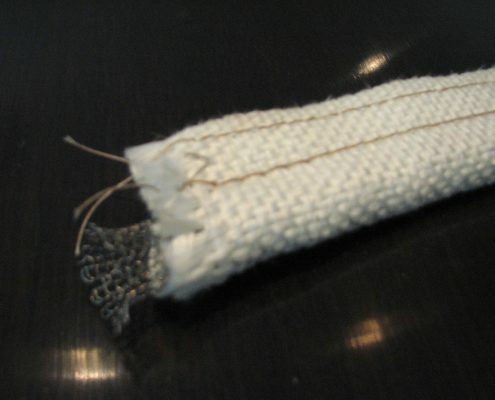 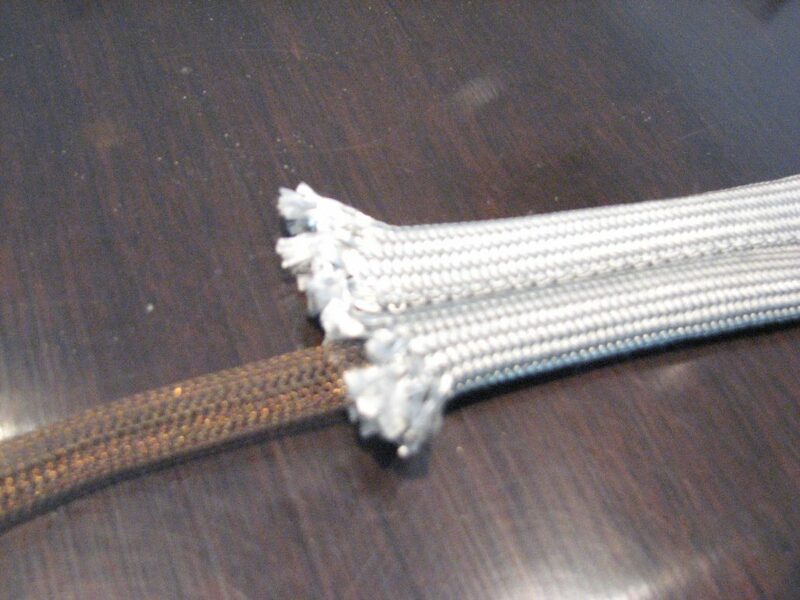 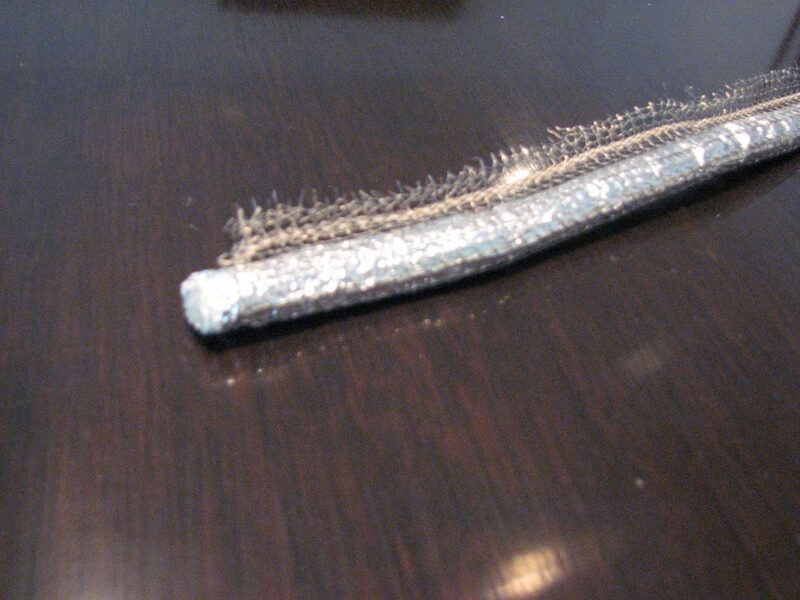 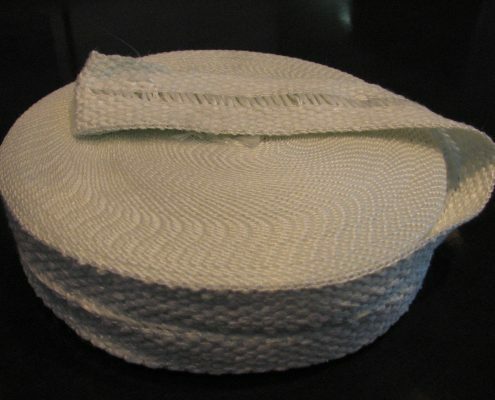 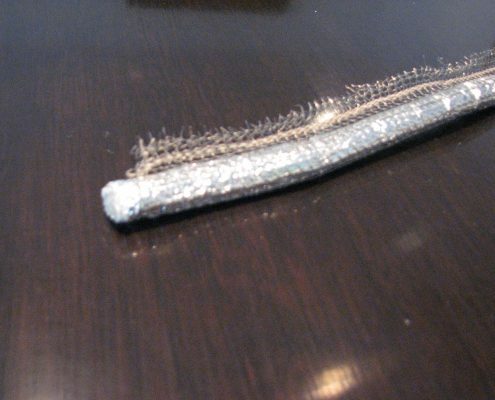 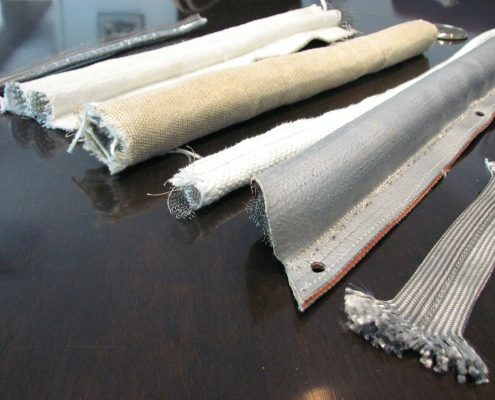 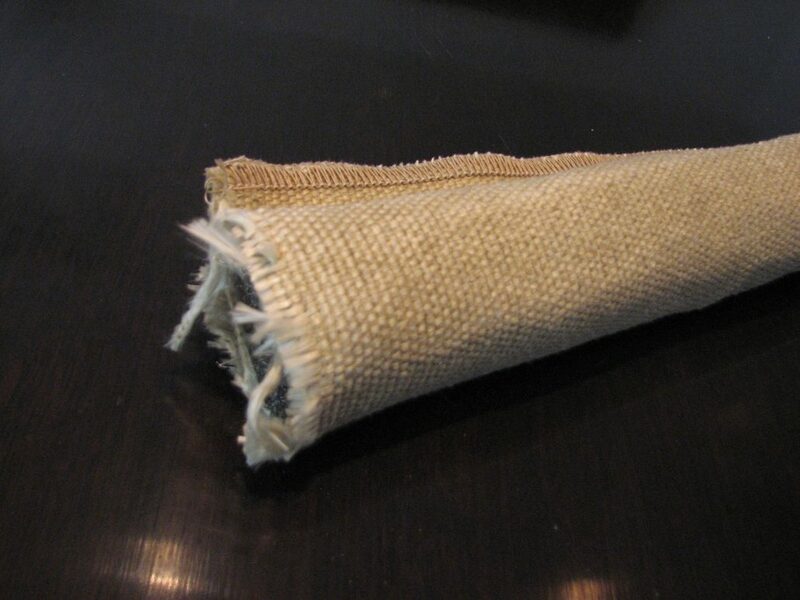 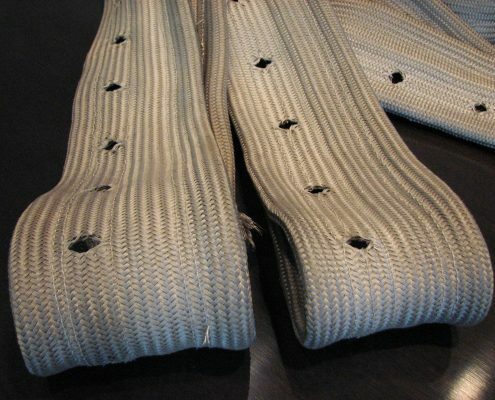 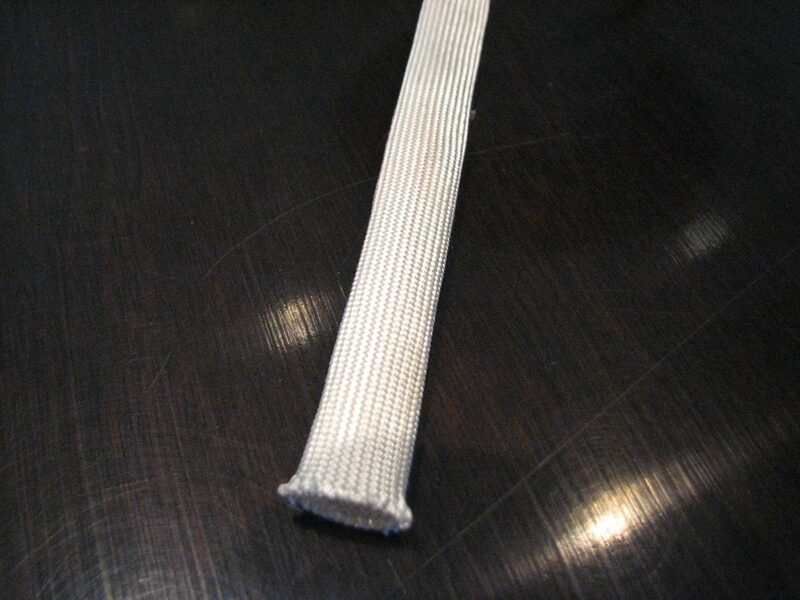 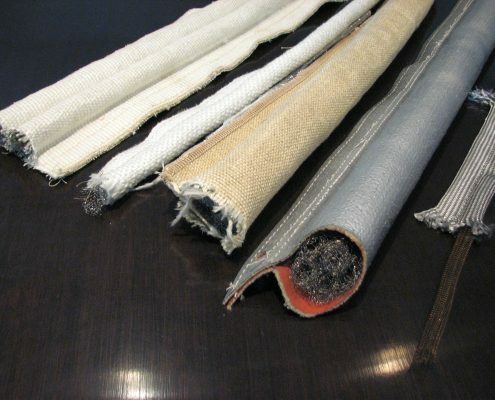 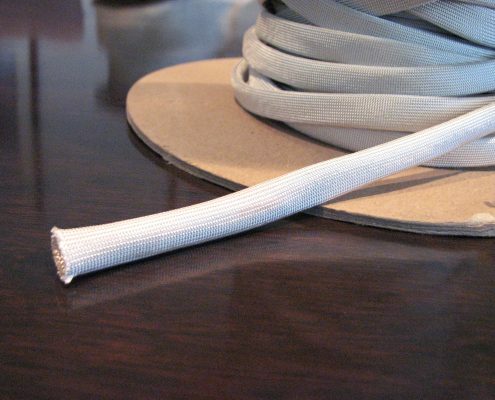 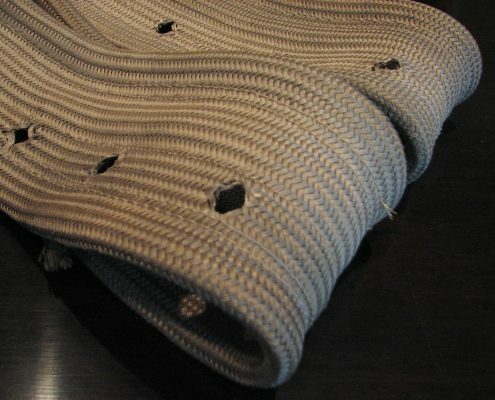 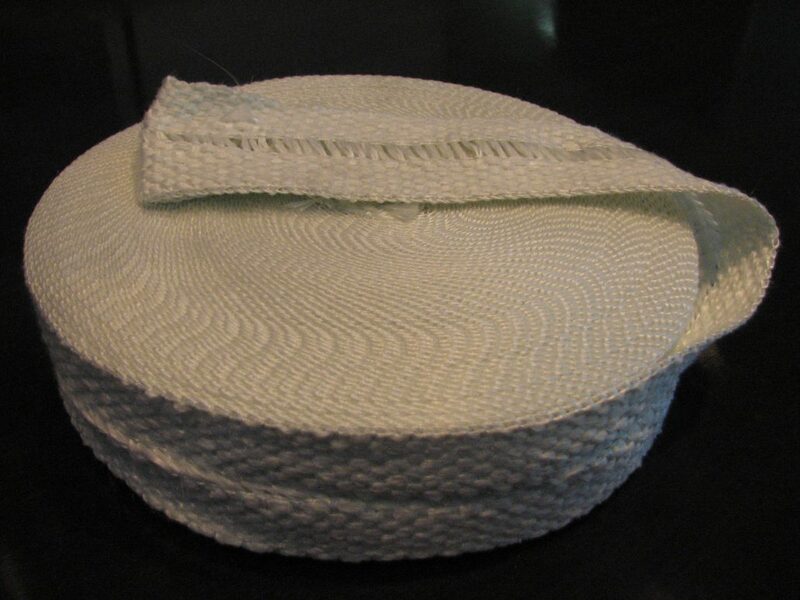 240C Braid High Temperature Sleeves are tightly woven, flexible, continuous filament electrical grade 100% fiberglass braids which are heat treated in order to remove all organic contaminants and to set the glass braid for end-fray resistance. 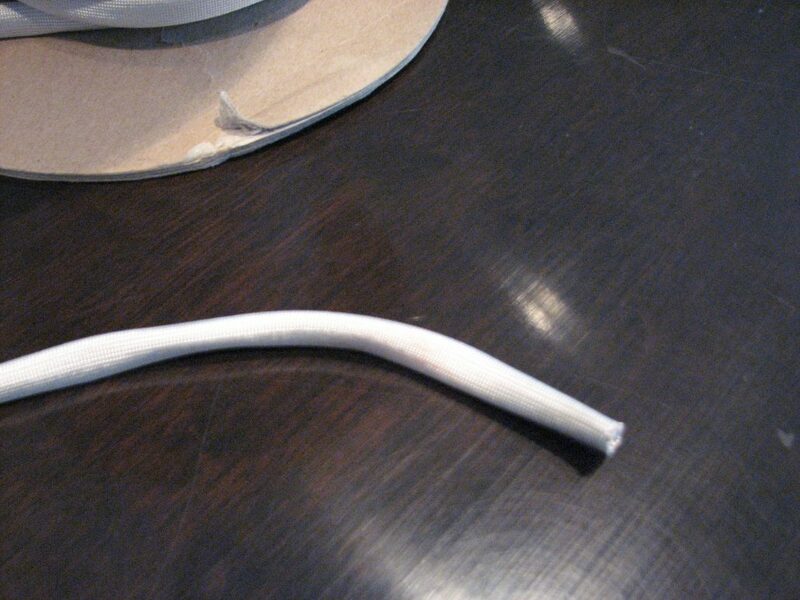 They are resistant to moisture, fungus and chemical attack. 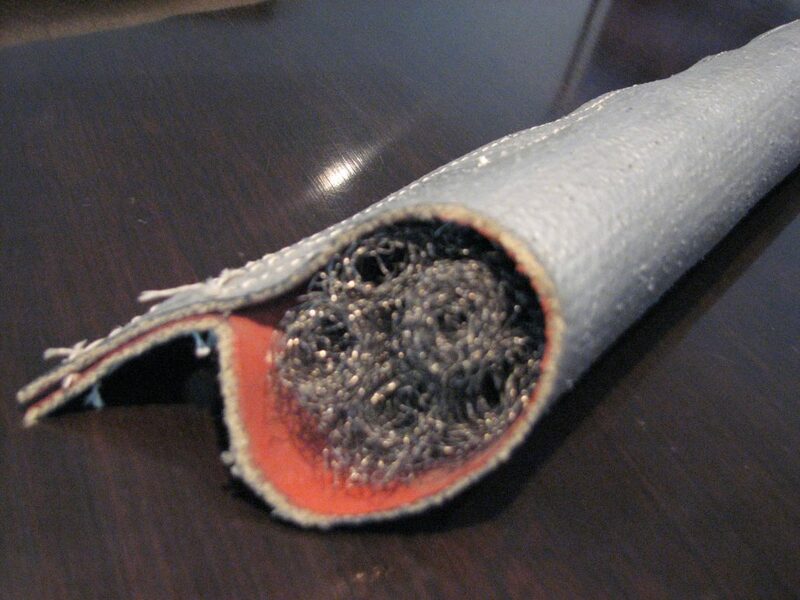 240C is the most economical choice for thermal insulation where temperatures run as high as 650°C. 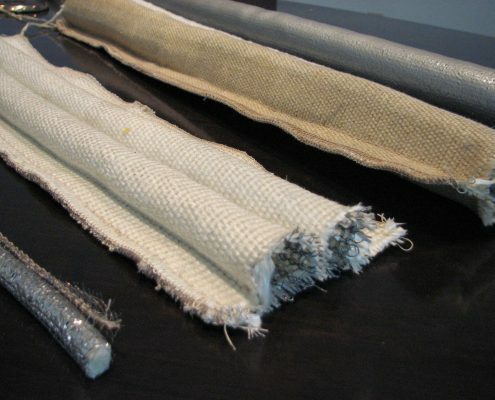 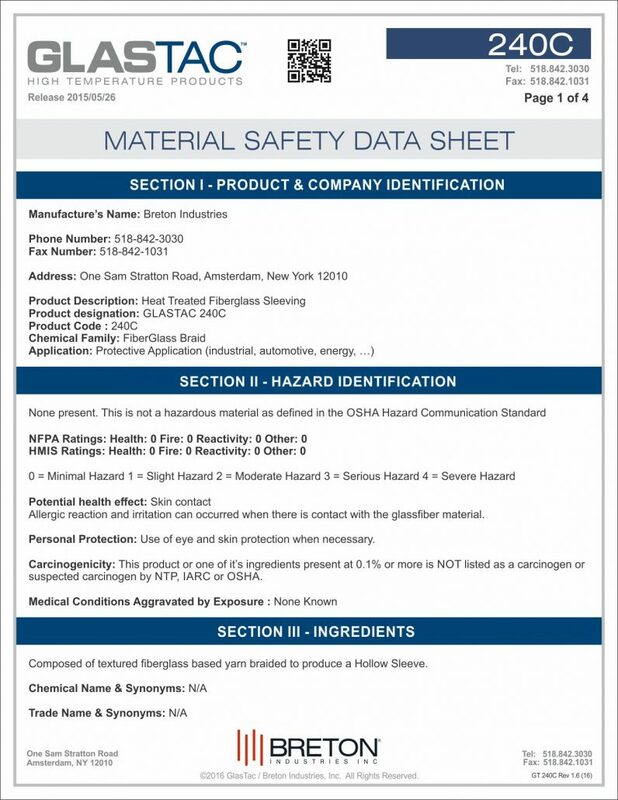 GlasTac products are flexible and also provide abrasion resistance. 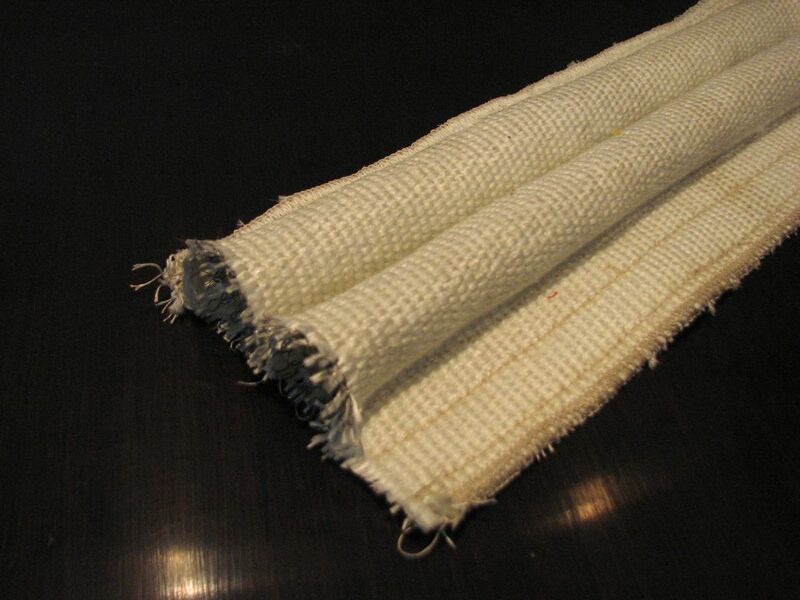 240C products are made in standard wall or heavy wall constructions: (.032” wall – 0.81mm). 240C is used in high temperature, low voltage applications and wherever severe, repeated flexing or temperature extremes prohibit the use of other materials. 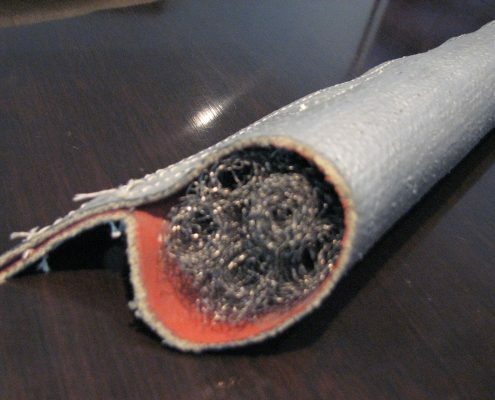 Its ability to expand enables it to slip over irregular shapes and electrical connections to provide effective thermal, mechanical and electrical protection. 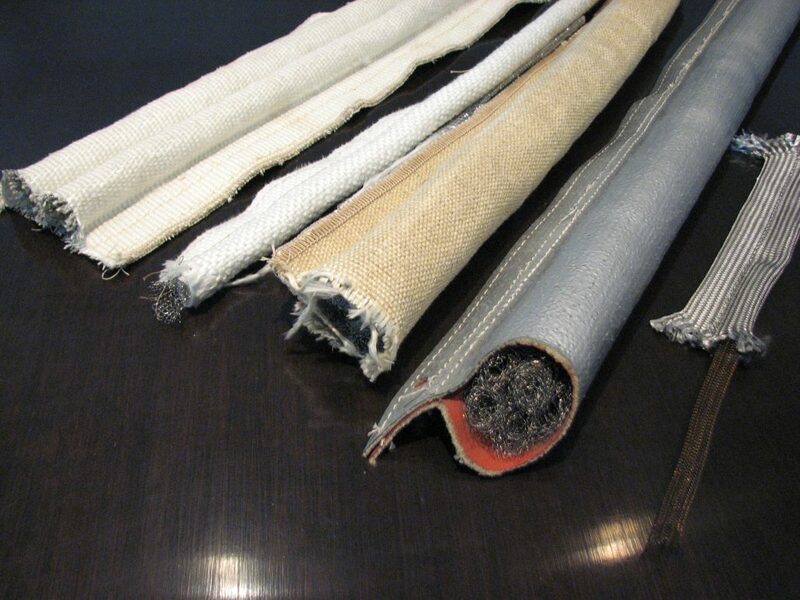 To learn more on how we can help you, tell us about your project.